Afreeca Freecs could be a dangerous team in the LCK this year. Afreeca Freecs started day two of the LCK with a hard fought victory over KT Rolster. Unlike the known quantity that is KT Rolster, Afreeca Freecs came into today’s match as a bit of question mark. With the loss of star top laner Jang “MaRin” Gyeong-hwan, and the creation of a 10 man roster over the offseason, Afreeca as a team were hard to evaluate. But despite MaRin’s absence, Afreeca looked better than ever. Afreeca were able to contest KT Rolster’s monstrous early game, and throughout this series found their leads with the abuse of their opponent’s more shaky macro play. Through the excellent play of their jungler Lee “Spirit” Da-yoon, Afreeca more often than not turned around KT’s attempts to make plays. KT though didn’t spend the entire series being punished by Afreeca. In the mid to late game, a point in the match this KT roster historically struggled, they instead found ways to punish Afreeca’s plays too. The best example of this came in game two, when KT took advantage of Afreeca top laner Kim “Kiin” Gi-in bot lane split push with a quick and decisive Baron take. From this Baron, KT could snowball and take the game to even up the series. Unfortunately for KT, this mid-game prowess wouldn’t persist into game three. 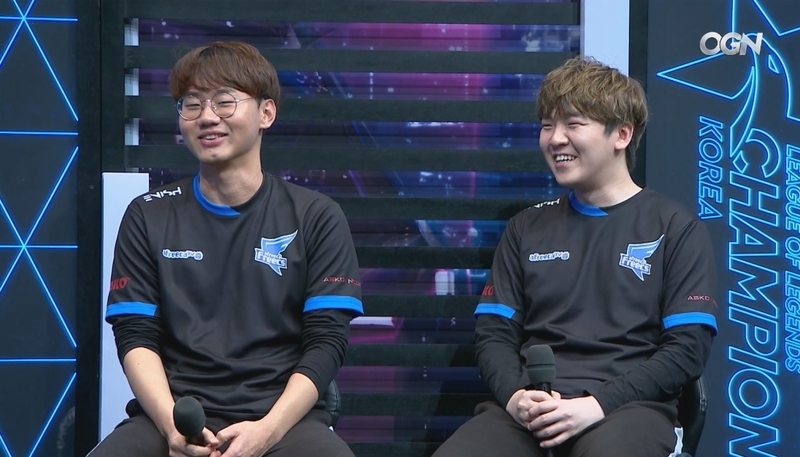 Afreeca mid laner Lee “Kuro” Seo-haeng spent the final game finding picks onto the members of KT with Malzahar’s ultimate. Afreeca used Kuro’s picks to obtain a myriad of objectives, and gain a large enough lead to win the series. Afreeca won’t return to stage play until Jan. 23, when they face KING-ZONE DragonX.